SipSnap is a spill-proof drink lid that fits over virtually any cup or glass. Simply stretch the SipSnap over the top of one without handles. Voila—a spill-proof cup. Even though the design was originally developed for kids, it works great for grown-ups, too. Toss a SipSnap on a Mason jar or glass and your drink will stay contained. 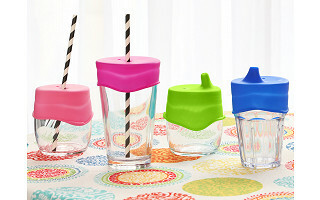 These lids are great for families out at restaurants, too—no need to bring along a sippy cup. Use SipSnaps to turn the restaurant’s glass into one. Made of high-quality, food-grade silicone that is BPA– and phthalate-free, SipSnaps are dishwasher safe. Plus, you can pop them into boiling water to sterilize and, when you’re done, fold and stack them together for easy storage. They even have a handy case for when you’re out and about. With SipSnap, it’s easy to stop spills. Just put a lid on it. Hello everyone! We are proud to introduce SipSnap to The Grommet. I'd be happy to answer any questions you have! Hi, what is the widest mouth glass this fits? Do I have to worry bout it breaking the glass if its too tight? @Sarah We've tested SipSnaps on cups up to 4" in diameter. No worries about the SipSnap breaking your glass as long as you are not using it with a paper cup or disposable plastic cup (like a solo). This looks like a great product for adults too. How wide of a glass or cup will it fit? You also mentioned it can go in boiling water, so could a child have warm "hot chocolate" from it as well or if an adult wanted coffee? just thinking of ways to use these. I know messy adults too. @ellen SipSnaps fit cups up to 4" in diameter. The silicone they are made of can withstand high temperatures, but we don't recommend using them with hot liquids. There is a risk that in trying to put one on a cup you could knock the cup over. If the liquid was just warm and not hot, that would be fine. Hi, do they already have a silt in them to allow straw access? @Robyne Our straw version has a hole at the top where you can insert any straw. Made in China, deal-breaker for me. Too bad! @Sarah I second that deal-breaker! Hi Sarah and Karen, we understand that made in China can be a deal-breaker, but if that's the only one, it confirms what we knew going into today: SipSnap is a great product! For Made in the USA products, we encourage you to check out our collection here. Sarah and Karen, We absolutely understand your position and commend you for staying true to your buying beliefs. It is our hope that we can bring the manufacturing of this product to the US, without significantly raising prices. We continue to research the possibilities. Sarah, Karen, I totally agree with you!!!!! If this were made in the U.S.A. I would buy it!!! @Penny Considering they're made in China, I would think the price would be lower than 3 for $20. They must cost at least 25 cents a piece from China. You would not want SipSnap to reduce their huge profit margin by producing them in the USA, now would you. I understand people not wanting to purchase items made in China and applaud those who stay true to their values. What I don't applaud, though, is the rudeness and personal attacks on the inventors. If you do not like the product for whatever reason, don't buy it and move on. Care about people. @James While I also prefer Made in America products, it's nearly impossible to not purchase something from another country. Check the tags on your clothes, furniture, etc. and you'll see what I mean. James, Teckla, and Penny, Makers like Sativa aren't "out to get you" with price. We understand consumers have their reservations about purchasing products made in China and, as Sativa has said throughout the board, they respect your buying choices. As do we! But manufacturing in the US would result in significantly raising prices. We hear the want to produce in the US a lot from Makers. As you know, we are working with them in the early stages of their business so access to manufacturing avenues in the US is often times just not feasible. For many, "profit" isn't even be in their vocabulary yet. I'm not saying that is the case with SipSnap, but the point holds. Here or there I don't care.. I want a quality product for a reasonable price. And that's exactly what I get here at Grommet.. I love the all the stuff including the new stuff coming out, and I commend the artists/inventors.. So let's all just play nice in the sand box..
@Teckla and Penny This is an assumption that many make about products made in China and for large companies, it's true, because they are able to order thousands, sometimes millions of units at once. But small companies just starting to bring their ideas to market are usually placing minimum orders with manufacturers which means much higher prices. As we grow our business we will be able to increase our buying power which will leave room for options like, lowering prices or manufacturing in the US. @Sativa let me know when they are made in the USA. Looks like a great product! Does the sippy cup lid work by a simple sucking method? I am struggling to find a good transition cup from a bottle for my 11 month old son. He gets frustrated with many bottles and the ones that are easy flow often spill easily when tossed by a frustrated thirsty baby/toddler! 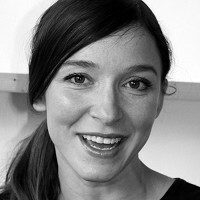 @Laurie Hi Laurie. Yes, the force of sucking is what opens up the spout to allow liquid to flow through. It's hard to say whether SipSnap will resonate with your son. One thing we hear a lot of is that kids, especially ones with older sibs, get really excited about using "grown up" cups. Can you use any straw or do you need to use a thicker more strudy straw with the tumbler cup lids? @Laurie You can use any straw! We've tried all kinds, including paper, and those big bubble tea straws. How do you prevent leaks when you use a straw. It seems to me that if the glass tips over and you are using straw, the liquid would run out the straw. @Mike Hi Mike. You are absolutely correct. If you are using a normal straw then of course it is possible for liquid to leak out during use. We don't claim to be leak-proof, only spill-proof. Meaning, if you knock the cup over the contents will not spill out. Will this work with hot beverages (coffee, tea)? I'd also love something like this without a sip spout or hole so I can cover my coffee cup in the car and it won't spill on my way to work. @Leslie Great idea Leslie. We've got lots of product ideas in the works and are definitely testing out this one. As for hot liquids, we don't recommend using SipSnaps with hot liquids only because when you are first using them it takes a bit of coordination to put one on and we don't want to risk you spilling a cup of hot liquid in the process. The product itself can withstand hot temperatures with no problem. What about the plastic take-home logo cups that you get at restaurants, will it go over them without "warping" or crushing them? My family is outside at our pool a lot and never have glass out there. (And we have a crap-ton of those take home cups!) :) Thanks! @Shelley Great question! Yes! SipSnap will go on these cups, no problem. We don't recommend them for Solo type cups or paper cups though. This looks like a perfect solution at Grandma's house! When the cup topped with a Sippy Cup Lid is inverted, does it leak?? This would have been a big win in the video if so. Soggy diaper bags abound. @Lynn If the SipSnap sippy cup lid is used properly and with care, you can turn it upside down or knock it over and it doesn't leak, but to be clear, we do not claim to be leak-proof. SipSnaps are a simple, one piece solution made of a stretchy material. That stretchy material can move and vent holes can widen depending on how the user is handling it. We recommend mild supervision with SipSnaps. A liquid filled cup with a SipSnap lid should not be placed in a bag or left on its side. I would like the straw issue clarified, too. Does this product work with any straw? Is the cup still spillproof? I do not like to reuse permanent straws. They are too hard to clean. @William Yes, our straw version works with any straw. Our straw lids are spill-proof, meaning if you knock them over you will definitely avoid a big catastrophe. Unless you are using a leak proof straw though, the straw itself can leak its contents. Would they work over Styrofoam cups? @Christina Great question! Styrofoam cups, as well as paper cups, and disposable plastic cups are too thin and fragile to use with SipSnaps. Made in China is a deal breaker for me as well.... If you ever decide to manufacture in the USA please update us.. I have shown it to our Mom's group and it generated a lot of excitement, but immediately was shot down due to China... GREAT IDEA!!! @Jennifer We hope to one day be able to manufacture in the US and are always looking into possibilities. We commend your buying practices! I am also wondering about the straw issue. I am trying to eliminate the Sippy cup clutter from my cupboards and a straw would be so much easier for the grandkids. @Susan Hi Susan. Our straw version works with any straw. Our straw lids are spill-proof, meaning if you knock them over you will definitely avoid a big catastrophe. Unless you are using a leak-proof straw though, the straw itself can leak its contents. What colors are in sandbox, and what colors are in Rise and Shine? @dee Thanks for the support Dee! I am interest in mixed snipsnap, sip and straw version. Do you sell that combo version? @Aaron Hi Aaron, unfortunately we do not offer a mixed set at this time, but it's a great idea! will the straw version fit over cans? @David Hi David. Yes, they can fit cans. I think this is a GREAT idea!! I'm thinking about picnics... and the little insects that are always trying to fly or climb into my drink. This would be a fantastic, and colorful solution. @Margaret Ha! We never thought of that. So true! Looks great! Can these lids be put in the dishwasher to clean?? Hi, what about tearing of the lid? I read reviews on similar lids, and people complained they only lasted about a week due to tearing. These lids do seem sturdier than those, but just curious. @Mollianne We did have some issues on our first version with tearing, but we've since updated the design to be stronger and more robust. You will certainly find that our product is much more durable in look, feel, and function than competitor product. That being said, stretchy silicone is a very soft material and can easily be punctured. If you plan to use these with children that are likely to chew on the product while on a cup then it may not be the best everyday solution for you. Hope that helps! Hi! Is this the "2.0"version? I was wondering if you can put this on a can so when you are out in the summer, bugs do not try to get in the can. @Barbara Yes, they work on cans! It is a brilliant idea. Great for kids. Will you eventually make them in clear, or more grownup colors or offer custom designs like names, business names, logos? If you can create a more upscale fashionable version, there's a huge potential market of "Drink Defense" for college coeds who party, young adults who go clubbing and even for travelers, who would appreciate the security of knowing that no one can slip anything into their drink(s). @snype We love this idea and would like to figure out how to connect with these other markets. I think you're right that an upscale color palette is a good place to start. Seems like a good selling point not mentioned is that the cover would keep bugs out while camping or picnicking. than worrying about WHERE it is being manufactured. Some folks NEED to get over the China thing. This World is getting smaller by the second. If we wish to promote new products, new ideas and US new business, sometimes concessions need to be made. Terry.....And are we all so Proud of the state of our Great Country right now that we can't share, communicate and move forward? @Terry So right Terry, I'm all for it. Wrt China, people are often misled or made believe that a product is made in the USA. That can be true, in a way. Most forget that all ground materials will still come from overseas, that's how it works. That it is put together in the USA doesn't mean it is a complete American product! SipSnap is a spill-proof drink lid that fits over virtually any cup or glass. Simply stretch the SipSnap over the top of one without handles. Voila—a spill-proof cup. Even though the design was originally developed for kids, it works great for grown-ups, too. Toss a SipSnap on a Mason jar or glass and your drink will stay contained. 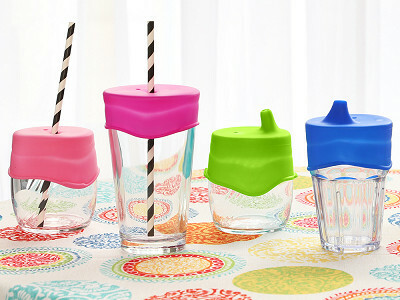 These lids are great for families out at restaurants, too—no need to bring along a sippy cup. Use SipSnaps to turn the restaurant’s glass into one. Made of high-quality, food-grade silicone that is BPA– and phthalate-free, SipSnaps are dishwasher safe. Plus, you can pop them into boiling water to sterilize and, when you’re done, fold and stack them together for easy storage. They even have a handy case for when you’re out and about.